Polish Obsessed: Let It Snow! I was sure I was going to bust out China Glaze There's Snow One Like You around Christmas but I just never got around to it. I thought for sure it was just collect dust in a drawer until this years Christmas. But you know what, the snow is still coming down like crazy over here, so today I have a weather inspired polish choice, and this week there was a lot of snow! 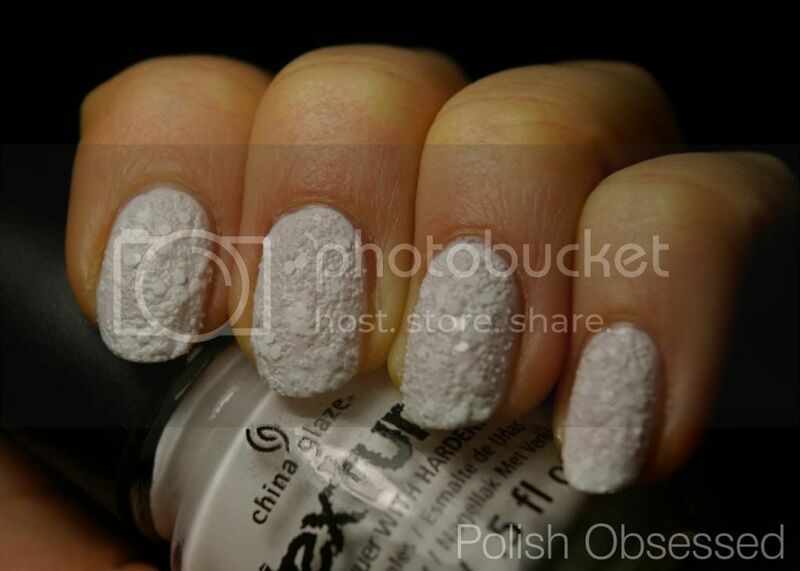 There's Snow One Like You got very mixed reviews, this is a polish you either love or hate. 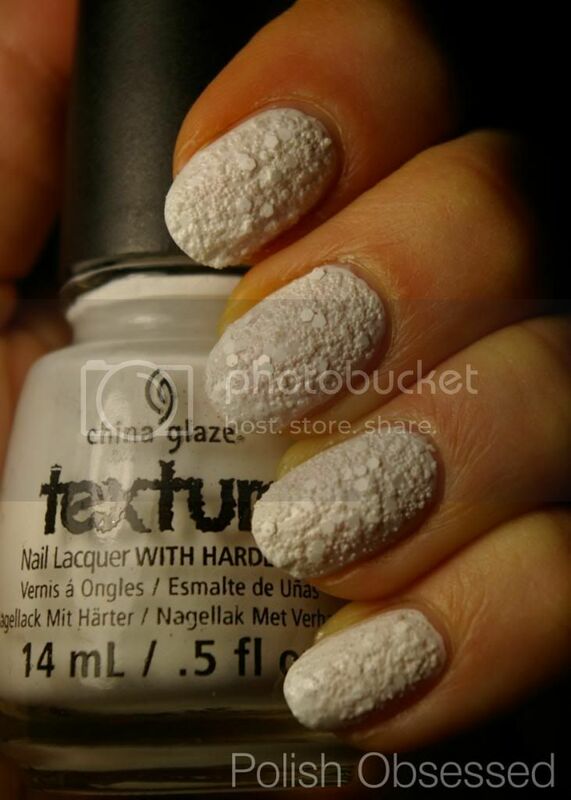 For those of you who may not know, it is a white textured polish which is meant to resemble the texture/look and feel of snow. Originally I was NOT interested, the swatches I was seeing and the reviews I was reading were not the best, cottage cheese comes to mind lol. I decided I should try it out for myself after I saw a few nice swatches of the polish. From what I read it seemed the main issue was thickness of the polish and in some cases sheerness. I first applied a thin coat of Sally Hanesn New Lengths Ceramics in White Ghost to my nails. I didn't layer to opacity, just enough to cover the nails. I needed a base of white so I didn't make a mess of the polish trying to get it opaque. Once the white was dry I added a thin to medium coat of There's Snow One Like You to each nail trying to spread it as evenly as possible. After the first layer was dry, I made touch ups where I wanted some more texture and was done! I found that in the swatches where multiple layers of the polish was added it lost some of its texture and looked more like melty snow. I was weary as first about wearing the infamous textured polish but am happy with the outcome, I really do like it! What do you think, do you own a bottle? That's awesome! I was just looking at this polish on my swatch wheel tonight, its so weird and cool at the same time! I hope you enjoy it as much as me. Application is key to get it to look right, thin coats work well.